The evolution of Sparky has led to pre March 1, 2013 Sparky. This has been my Sparky for many years and yes there were many iterations of him that I disliked through the years but he FINALLY arrived. Pre March 1st Sparky personified the iconic logo from 1946! I was invited to the Sun Devil Baseball game this evening (Thursday). While I was engaged with the play on the field I was more impressed with the reaction I was seeing when Sparky came out and interacted with the Sun Devil faithful. For those of you not local, the impostor Sparky does not “debut” until the Spring Football game in April. I witnessed as people flocked to our beloved Sparky as if in an attempt to grasp that one last photo or interaction with their hero. I witnessed as an elderly man with a cane said “You are the GOOD Sparky” if that other Sparky comes around I will rearrange his face with this (as he was wagging his cane modified to look like a baseball bat). I saw as children ran to hug Sparky’s leg and not let go. I saw a students welcomed Sparky to come hang with them on the lawn. Underneath that amazing mascot suit is a dedicated student athlete. One that LOVES tradition, one that loves how Sparky is so iconic and he, as a Student has the privilege to dawn the Sparky threads at all the premier ASU Athletic events. He worked hard to get behind the Sparky mask. Taking private tumbling lessons, working out with mascots from the pro teams around the valley, ultimately trying out through a battery of physical tests and entered the fraternity of very few who can say they ARE Sparky. Then on March 1, 2013 his world changed. No longer will Sparky be viewed the same. Instead he fears being assaulted because of the outcry against this new Sparky. Gone is the iconic Sparky he so wanted to be and now, now he is going to be ridiculed and laughed at. It’s ALREADY happening. He see’s it on these posts. You know this new Sparky is meant to be more kid friendly… Not sure how thats going to happen when the overgrown chin inhibits his ability to LOOK DOWN to see the children. Gone will be the iconic Sparky head shake, the new head does not move, leaving the student behind the mask very stiff. Watch the video of the unveiling, notice the awkward stiffness (and NO that was not a student athlete behind that bug eyed mask). None of them had been given the opportunity. 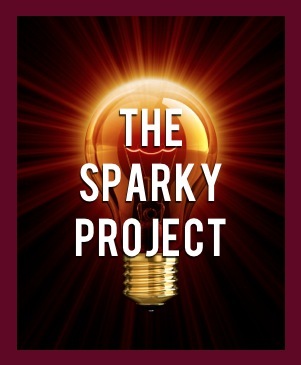 To see other well-written feedback from fans on this issue, please visit THE SPARKY PROJECT Forum. Everyone in Sun Devil Nation matters, and a unified voice speaks loudest. Your thoughts, feedback & ideas will be heard. DieHardDevil. Are You? Prove it.